Top 10 Types of Mortgage Loans- Which One is Best for You? A mortgage is a type of loan where the bank or another lender loans you a large amount of money, which you must repay with interest over a set period of time. There are several types of mortgage loans available, each tailored to meet the needs of a specific group of home buyers. Searching for the mortgage loan that best suits your financial situation must be treated very seriously. Here is another resource to help you decide: mortgage lender or mortgage broker? Even if you are considering getting professional advice before choosing a mortgage, it is always wise to know what options you have before talking to a professional. Knowing what types of mortgages are available will not only make things easier to understand, but also put you in a position where you can ask the right questions, making sure that what you choose is the right option for you. Additionally, here is a list to help you find the Best Mortgage Rates. Fixed Rate Mortgage. This type of mortgage is the most popular mortgage in the United States, and is suitable for individuals who plan to keep their house for more than a couple of years. Usually, the life of a fixed rate mortgage is 15 or 30 years, but it can also come in terms of 10, 20, 40, or even 50 years. The interest rate and the monthly payments remain fixed during the life of the loan, thus homeowners can manage their budget more easily knowing exactly how much they owe to the lender every month. In case rates drop, homeowners have the possibility of mortgage refinancing to get a more advantageous interest rate. Here is a list of the Best 5-Year Fixed Mortgage Rates. Adjustable Rate Mortgage. Also known as ARMs, adjustable rate mortgages are preferred by people who aren’t expecting to own a house for a long period of time. With an ARM, individuals have a predetermined adjustment interval (6 months to 5 years), for which the interest rate will be fixed. 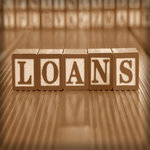 After the adjustment period, the interest rate will usually go up, and then change periodically over the term of the loan, as specified by the lender. Before committing to this type of mortgage, homeowners should make sure that they can afford the highest possible payment of their loan, as sometimes the interest rate can go up by 6 percent. Some of the most common ARMs are: 1-year Adjustable Rate Mortgage, Hybrid or Intermediate ARM, Flexible Payment Option ARM, and Convertible ARM. Balloon Mortgage. A balloon mortgage will have a fixed rate for a period of 5 to 7 years, after which the remaining balance is due in its entirety. Because of its large size, the final payment is also known as a balloon payment. Balloon mortgages are best for people who intend to sell their house before the balloon payment must be made. Jumbo Mortgage. When the mortgage loan is over Freddie Mac and Fannie Mae traditional loan limits, the mortgage is called a jumbo mortgage. The conforming limit for a jumbo loan is $625,000. A jumbo mortgage will require a larger down payment, and the interest rates will be higher compared to the interest rates of a conforming loan. Interest-Only Mortgage. With this type of mortgage, homeowners have the option to pay only the interest of their principal, for a period of five or ten years. After this initial period of time, the principal balance will be paid down over the remaining years of the loan. Due to the fact that interest-only loans are riskier for the lenders, the interest rate might be higher, but these loans are still attractive to homeowners because they offer financial flexibility during the interest-only period. Reverse Mortgage. Available to elderly individuals 62 years old and over, a reverse mortgage is a lifetime mortgage secured by the equity in the borrower’s home. Elderly homeowners can transform a portion of their home’s equity into cash. During the term of the loan, homeowners are not required to make any monthly payments. Reverse mortgages allow elderly persons to live in their own homes, and the owners only repay the loan if they sell the house or move to a nursing home. In the event of homeowners’ death, the loan must be paid in full by their heirs. Here is a list of the Top Reverse Mortgage Lenders. Veteran Affairs (VA) Mortgage. A VA loan is a government insured mortgage available for veterans, their eligible spouses, and service members only. Issued by a regular lender, a VA loan requires no down payment, and the borrowers don’t pay any mortgage insurance, or a penalty fee in case they pay off the loan earlier. Federal Housing Administration (FHA) Loan. Insured by the FHA, this government guaranteed loan is great for first-time home buyers, as well as individuals who can’t afford a large down payment, or have a poor credit score. A FHA mortgage offers better interest rates than conventional mortgages, and the lender might show the borrowers leniency in case of financial setback. Graduated Payment Mortgage (GPM). GPMs are available in 15 and 30-year loan terms, and are more suitable for young individuals, such as students, who wish to purchase a home, but currently do not have financial resources to pay for a loan. A GPM offers affordable monthly payments in the beginning, after which the payments will gradually grow by a percentage decided in advance. This increase stops after several years (5 to 15 years), and the borrower will pay a fixed amount every month for the rest of his loan life. The GPM is a type of negative amortization mortgage. Negative amortization (NegAm) occurs when the mortgage payment for a period of time is lower than the interest due for the same period of time, causing the balance of the loan to rise. Pledged Asset Mortgage. Also known as Asset Integrated Mortgages, and Asset Backed, pledged asset mortgages allow burrowers to use their financial commodities, such as bonds, stocks, CDs, as collateral for the mortgage loan, instead of a down payment. This kind of mortgage is intended for individuals who have enough income to easily afford the monthly payments of a loan, but who have their cash engaged in investments. A pledged asset mortgage offers attractive rates, and don’t require a mortgage insurance, but it is more accessible by wealthier people. Choosing the right type of mortgage loan will not only save you money, but give you peace of mind for the following years. Being aware of your financial situation, budget, and understanding that paying off a loan can take a while, in which many things can happen or change, are keys to making the best choice when it comes to mortgage loans.